This is closeout item. Some sizes are sold out. 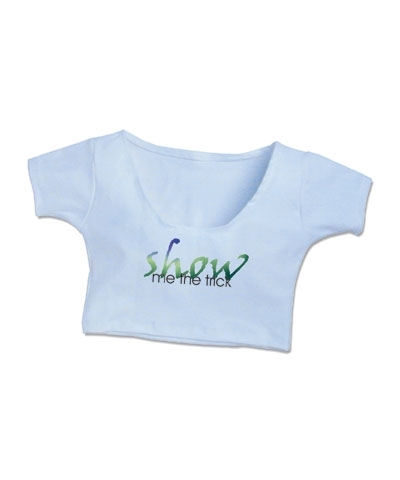 Show Me The Trick Lycra Baby Doll Crop Top. Gymnastics skills are called tricks.